“AVALON” by John Staley from the Tuesday night group just received literary representation. “GRIMM’S HEROES” by Tammy Roussin has been optioned by Patriot Pictures. “LONELINESS” by Vittoria Colonna has been accepted for development and financing by the Irish Film Board. “HOSTILE TAKEOVER” by Charlie Warden, a writer from the Thursday night group, just got his screenplay optioned by Amazon Studios. 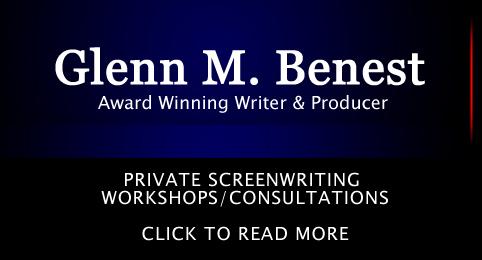 He sends out a post every Saturday on some aspect of screenwriting. The group also gives information on screenwriting competitions, new opportunities, companies looking for scripts, etc. 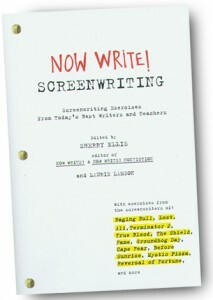 Read Glenn’s chapter on writing horror films. In! 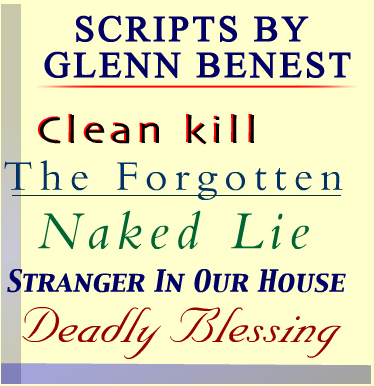 Magazine Interviews Glenn Benest About His Independent Film. Classes are limited to a maximum of seven writers. One student has just finished a screenplay assignment for Sony Pictures: “How To Make Money,” and another has just had his original screenplay, “Fantasmagoria,” optioned by David Foster Productions. Your work is read every week in the manner of a staged reading. Mr Benest has now formed a relationship with Simmons & Scott Entertainment, a management company, where works are read by professional actors to an invited audience. 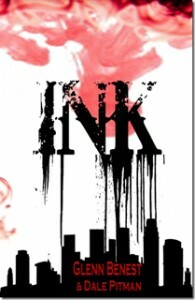 Glenn’s FIRST NOVEL – INK – NOW AVAILABLE! Co- written with Dale Pitman, INK has recently been published by Larry Czeronka Publishing. And check out all of Glenn’s credits on the IMDB, including “Naked Lie,” “Summer of Fear,” and many others.